Our 230g paper is the most sturdy and premium paper that we currently have on offer. It is particularly appropriate for large-format posters (A2 or larger) that have to be hung outdoors. The paper’s sturdiness and durability ensures that it is more resistant against wind and rain. 210g paper is perfect for outdoor posters, but more cost-efficient than 230g paper. The paper is still very sturdy and durable enough to withstand the elements, and to look great for a long period of time. 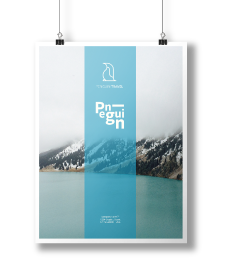 150g paper is most appropriate for posters larger than A3 in format, to be hung inside. 150g paper is the most popular for printing posters, because it is reliable and low cost at the same time. Lamination consists of a thin plastic film covering your posters and protecting them against water, scuffs, and worn edges. Choosing Lamination adds a touch of quality and durability to your posters. Glossy Lamination reflects light, and will give colors more pop and vibrance. Lamination consists of a thin plastic film covering your posters and protecting them against water, scuffs, and worn edges. Choosing Lamination adds a touch of quality and durability to your products. 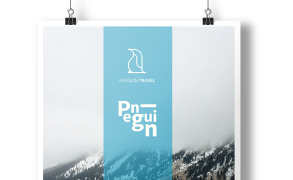 Matte Lamination almost completely eliminates glare (light reflection) issues, and gives your posters a classy, smooth look. With UV Coating, your posters are covered with chemicals and then treated with UV light to protect them and give a shiny look that accentuates colors. UV Coating adds a high quality touch that improves your posters’ impact, and protects them from external influences. UV Coating has been demonstrated to be a highly efficient way for posters to attract the attention and improve durability. Why Print Posters with Gogoprint? In a world characterized by intensified digital messaging and digital information transmission, well-designed and well thought-out posters represent a refreshing change of scenery. Smart use of colors, images, and text suscitates pleasure with the people viewing the poster, and unconsciously awakens their curiosity and attention for your brand or service. Posters have been and remain the advertising medium of choice when it comes to prominent display of important information in public spaces, with the possibility of accurate and precise targeting. Printing posters and displaying them in the correct places might just give your business a big boost! Posters remain one of the most universal and most visible advertising media around, and therefore their design is particularly important. What’s crucial is to skillfully blend effective ad design, correct targeting and geographical positioning, and eye-catching poster printing. Our blog post on powerful poster design is an absolute must-read in this aspect, and will definitely help you boost the ROI of your poster campaigns. In a nutshell, you have to clearly outline the goals and targets of your poster campaign before designing your poster itself. Only once you are clear about your campaign’s objectives, can you start to design the perfect poster to achieve them. Figure out which message you want to communicate to your target audience, and which visual elements and calls-to-action are likely to push them to take action based on that message. The last crucial element of designing an ad poster campaign, is to pick the optimal place to display your printed posters. Choose a place where your target audience is highly concentrated, and has time to look at your posters. A poster campaign that is well thought out in these three areas has extremely high potential to perform very well. While you can print advertising posters purely for attracting new customers or sharing your latest promotions with your target audience, you can also print large format pictures or photographs to hang indoors in your restaurants, cafes, gyms, or stores. Together with a glossy finish, this really makes the colors come alive, and your custom posters will absolutely shine and create the atmosphere that you were searching for. If you are a photographer or designer, and want to share your work with family and friends, or want to sell it in a small limited edition, you will be glad to hear that Gogoprint can print your own posters starting from 10 pieces. The thing is, printing posters is not only for companies that want to display them on the subway and all around town, high-quality posters can also be printed to liven up places, through the inclusion of inspiring visuals and images. Whether it’s for advertising, mood setting, or distributing your art, every poster printed with Gogoprint can be customized just the way you want it. Posters are always printed in full colour, on the front only or the front and back depending on your preference, in a variety of papers from 130g to 230g, and with a choice of 3 different post-print refinements. Make sure that you visit our artwork-closing section to make sure that your posters come out exactly the way that they need to, without any negative surprises.